This is a single RAW shot processed for the milky way. The ambient light bought in the details of the falls and bit of reflections. 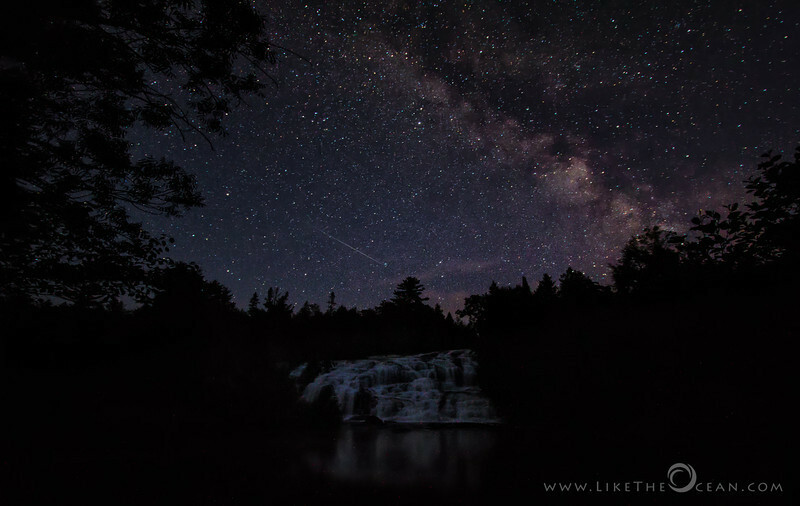 Shot this while chasing the Perseids last year. I liked this shot for how this brings out the grandeur of the milky way. At the same time, it is amazing how walking couple of steps and lighting the foreground can bring in such a different feel. Here is the shot with a bit of light painting on the foreground. - adorned by a shooting star !